In today’s organizations engagement is vital—more is being required of workers than ever. 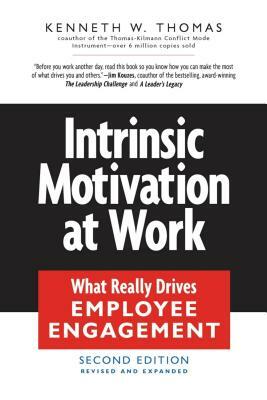 In this new edition of his classic book, Kenneth Thomas draws on the latest research findings to identify the key to employee engagement: intrinsic motivation. Only intrinsic rewards—rewards that come directly from the work itself—encourage the profound commitment and sense of ownership needed for a truly engaged and innovative workforce. Thomas identifies four intrinsic rewards, explains exactly how and why they build engagement and provides a diagnostic framework to evaluate which need boosting and how to boost them. The second edition has been revised and updated throughout, with an expanded section on how leaders can identify their own intrinsic rewards and new tools, tips and practices for encouraging intrinsic motivation in others. Kenneth W. Thomas is Professor Emeritus of Business and Public Policy at the Naval Postgraduate School. He is the cocreator of the Thomas-Kilmann Conflict Mode Instrument, which has sold more than 6 million copies.